BRL Test is your authorized TekBox distributer. Call 407-682-4228 to order. 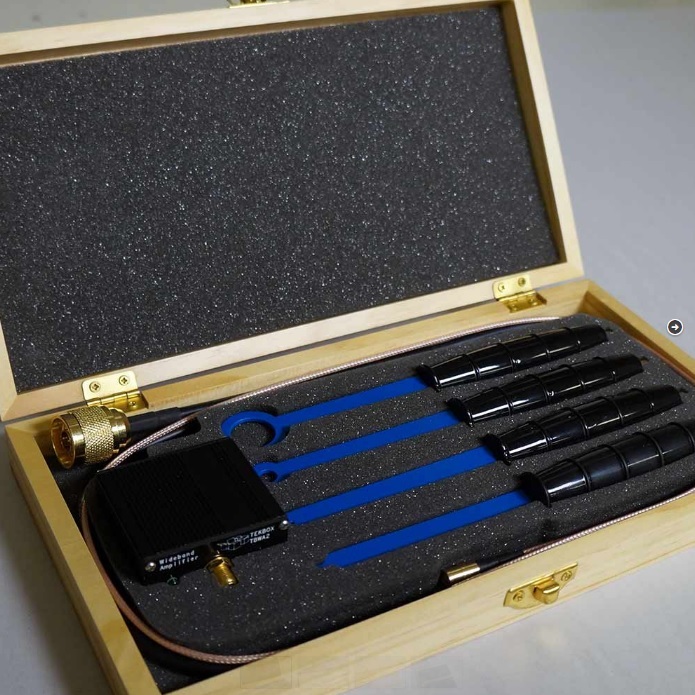 The Tekbox TBPS01 Nearfield probe set: H20, H10, H5 and E5 are magnetic field (H) and electric field (E) probes for radiated emissions EMC pre-compliance measurements. The probes are used in the near field of sources of electromagnetic radiation. 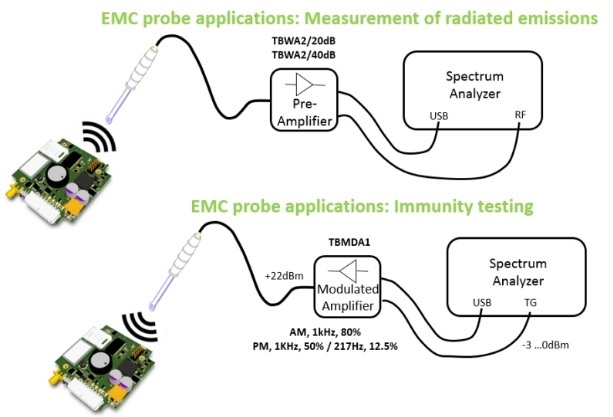 The TBSWA2/40db wideband amplifier is connected between EMC probe and Spectrum Analyzer to increase the dynamic range of the measurements.